Dialectical behaviour therapy consists of four primary treatment stages with pre-commitment occurring prior to beginning each stage. Currently, the main body of research on DBT is on what is called Stage 1 DBT. The first stage of DBT is usually one year of treatment designed to get the client's behaviours under control. Clients in Stage 1 are usually engaging in severely out of control behaviours. They are suicidal, engaging or having the urges to engage in non-suicidal self-injurious behaviours, are substance abusing, binging and/or purging, criminal behaviour, gambling, and engaging in out of control, impulsive behaviours. Once the clients' behaviours are under control, they move into Stage 2 of DBT. In Stage 2, the behaviours are under control, but the clients' level of misery is still extremely high. Usually, Stage 2 is some form of structure exposure based treatment, usually for trauma. Because the out of control behaviours that lead clients into Stage 1 DBT are usually to avoid or escape misery and trauma cues, it is imperative that these issues be addressed. If they are not adequately treated, there is a danger that the client may revert to Stage 1 behaviours to escape the misery. Stage 3 is treatment for a single problem (depression, anxiety, panic) or issue (marital, vocational, chronic pain). Stage 4 is treatment for the desire to feel completeness and joy. Stage 4 DBT is currently only conceptual but may involve a therapist, a spiritual advisor or a teacher of some kind. This chapter focuses mainly on Stage 1 DBT because all of the current research, except a single study of Stage 3 treatment for binge eating disorder (Telch, Agras & Linehan, 2000) has been conducted on severely disordered Stage 1 clients. Prior to beginning any stage of DBT, the client is asked to commit to the treatment. The commitment requires orientation to the upcoming treatment, role induction and deciding upon the goals of the stage of treatment. Prior to beginning Stage 1 DBT, the client is considered to be in the pre-treatment stage. This stage requires orientation to the treatment with an emphasis on commitment to the goals of the treatment (working on life-threatening behaviours, attending the treatment and not dropping out) and the client's personal goals. Even though the stages of DBT are ordered, clients rarely progress through the treatment in a linear fashion. Clients may return to Stage 1 if needed. This sometimes occurs when clients are in Stage 2 or 3 and there is a life event (death of a partner) that leads to a return to behavioural dyscontrol. Because of the body of research on Stage 1 DBT, most clients enter into the treatment in Stage 1. 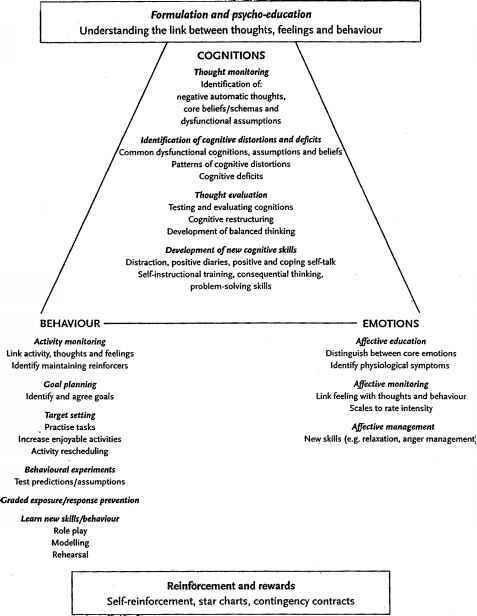 As stated, clients in Stage 1 are currently engaging a myriad of dysfunctional, out of control behaviours either because of their emotional dysregulation (their relationships are chaotic, their ability to concentrate is impaired or their anger is out of control) or because they are engaging in behaviours to regulate their intense emotions - such as cutting in order to escape or avoid emotional pain. Prior to beginning any stage of DBT treatment the client and the DBT therapist decide and agree upon goals for the treatment. These goals are incorporated into a treatment hierarchy. In Stage 1 DBT, the primary targets (those addressed in the stage and by the individual psychotherapists) are, first, to reduce life-threatening behaviours (parasuicidal, suicidal, assaultive, homicidal behaviours). 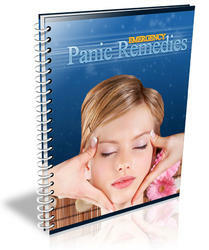 Clients are told that keeping them alive is the highest priority in the treatment. The second target is to decrease therapy-interfering behaviours (behaviours on the part of the therapist, such as missing appointments, beginning the session late, taking calls during session, or on the part of the client, such as non-compliance, coming late, missing appointments) that reduce the motivation of the other party to continue in the therapy. Addressing problems in the relationship head on and immediately, reduces therapist and client burnout and dropout. The third Stage 1 target addresses other quality of life issues, such as substance abuse, eating-disordered behaviours, marital difficulties, vocational issues or high-risk sexual behaviour. While reducing the targeted behaviours, clients work to enhance their capabilities, and therefore maintain a reduction in the targeted behaviours by learning new behaviours in skills training. • enhancing and improving therapist abilities and motivations to treat the clients.